If you have second Qnap and need datas urgently, simply close both of NAS device, Plug in your HDD’s to another Qnap (while device doesnt work!) and start device back again. 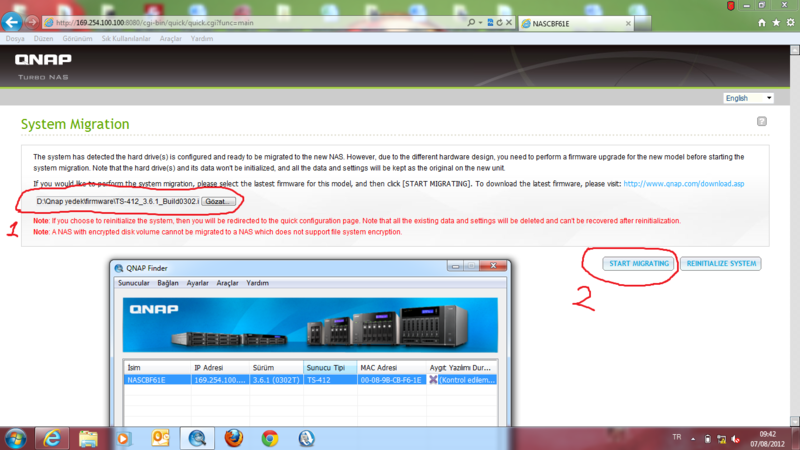 It maybe ask a question just like down below, simply download device firmware from www.qnap.com , show image, then choose “system migration“. Your system should be back again. Send your other Qnap to technical service for repair. If you have RAID, follow “how to recover deleted datas” documents.